Meringues like you have never tasted! Our hotel in Barcelona (The Hotel Continental) was right on Las Ramblas. In fact, our room was facing the street and one of the nights we were there was Barcelona’s Independence Day, so the partying in the streets down below went on until 6:00 a.m. This was a really cool little hotel with a nice courtyard with table and chairs and the best part was that there was beer and wine on tap 24/7. So, needless to say, there was a lot of beer and wine drinking going on while we there. I bought this fan from a street vendor the night I purchased my almond meringue. The meringue I bought didn’t have the espresso powder added, but I decided to add it to my recipe, and glad I did. When I saw this fan, I knew I needed it to shoot my meringue cookies picture. We saw fans all over Spain. I bought a beautiful one from Van Gough’s Museum in Amsterdam and we saw a whole shop of them in Barcelona (see picture at bottom of post). 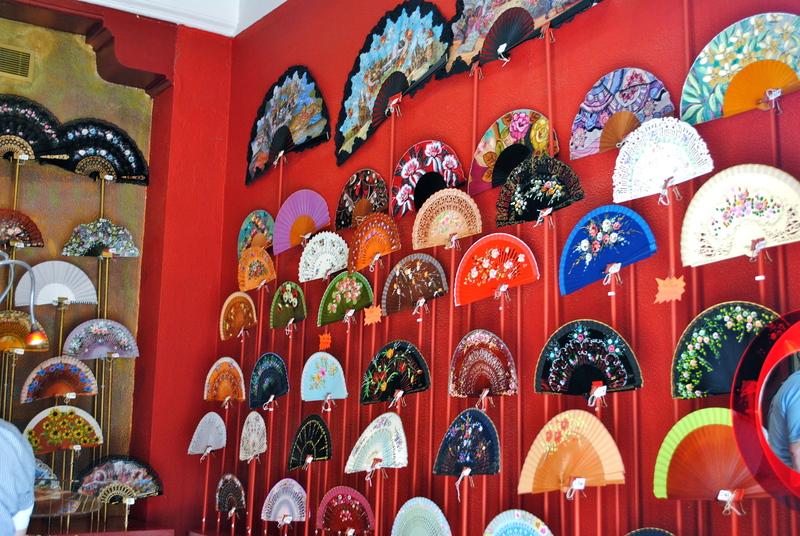 I paid 2 euros for the above one but we saw fans for over 100 euros at a shop in Pablo Espanol Village. A little sugar, almonds, egg whites and espresso powder. 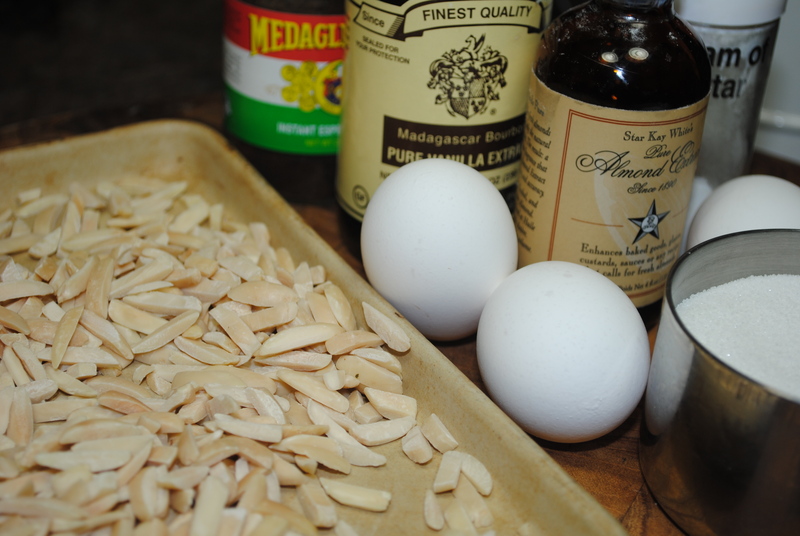 Toasted almonds are added to the stiffly beaten egg whites. Make mounds on Silpat (or parchment) lined cookie sheets. 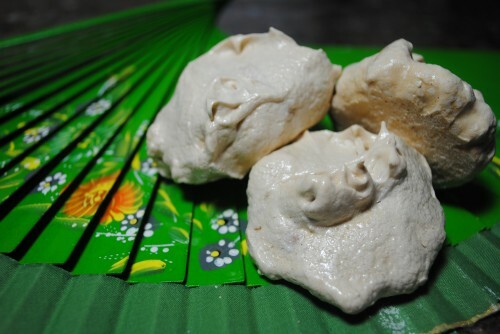 This plateful of meringues will disappear fast. Almond Meringues from Spain Trip were softball size. 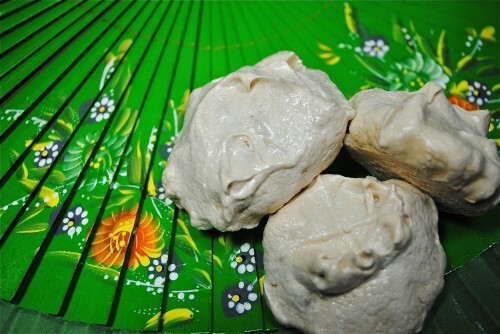 Ok, these meringues were really big and I had one and then the next night another. Preheat oven to 250°. Line two cookie sheets with Silpat baking mats or parchment paper. Put the sugar and instant coffee in a food processor and process until the mixture is very fine. Set aside. Beat the egg whites in a large metal bowl with the whisk attachment until very frothy. Add the cream of tartar and beat until soft peaks form. Add in the extracts. 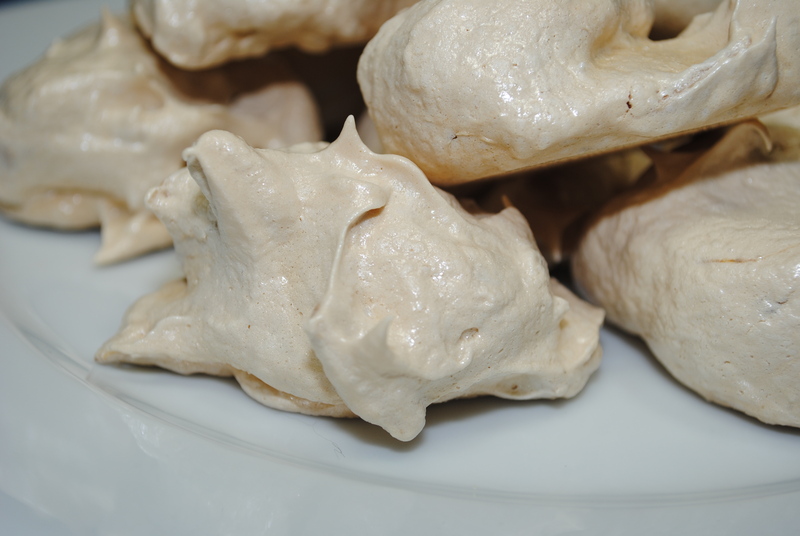 Increase speed to high and add sugar mixture a little at a time until soft peaks form and the meringue is shiny and glossy. 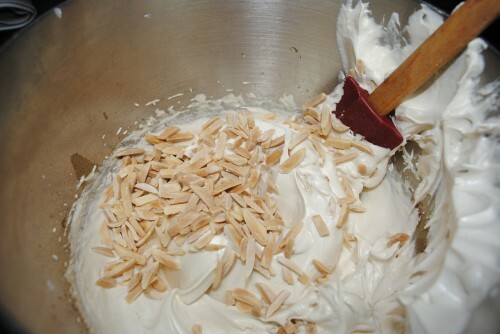 Fold in the toasted almonds. 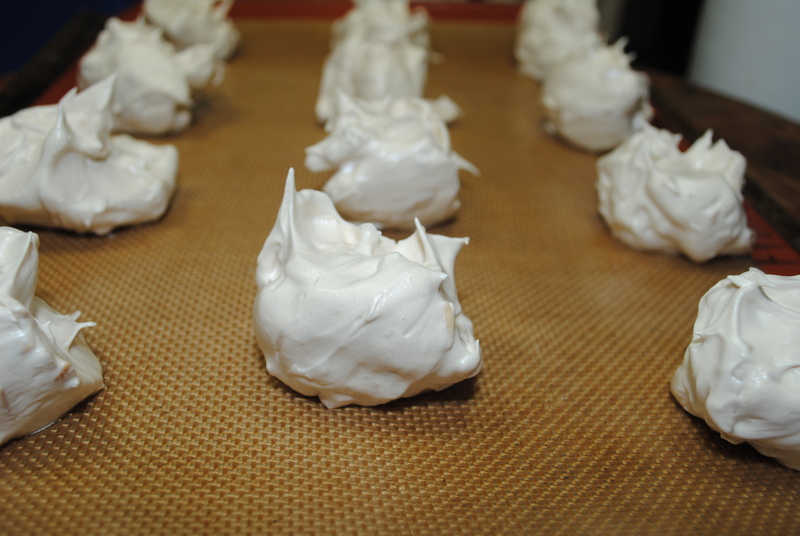 Scoop the meringue mixture in mounds onto your prepared cookie sheets. Bake for 1 1/2 hours, do not open door. Turn off the oven and let cookies dry for at least 2-3 hours or overnight. 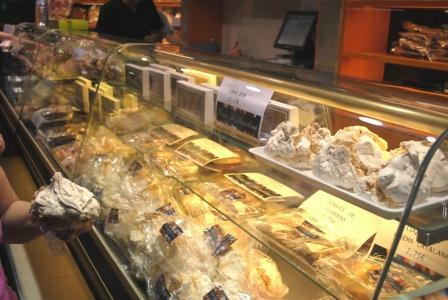 Store in a sealed container. *Note: I like these really crunchy and not chewy so when I first baked mine for 1 hour they were still chewy so I put them back in and baked for another 1/2 hour. Fan Shop at Pablo Espanol Village in Barcelona. The village is considered one of the top 10 things to visit while in Barcelona.